Proudly introducing the playful St Ives Collection. 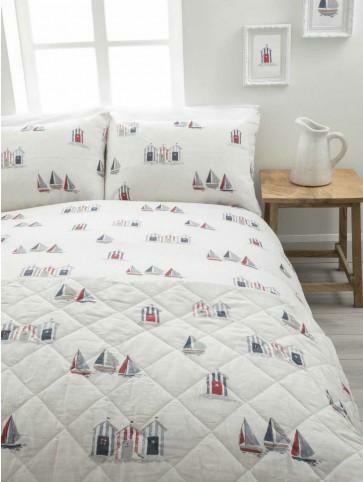 This beautiful design celebrates the best of the Great British Seaside with its nautical striped beach huts and boats, absolutely perfect for summer. Complete the look with the beautiful matching bedspread, curtains and home accessories. Guest bedroom is coastal themed and the design is exactly what I have been looking for.